If there ever was doubt about the strategy of OPEC, its wealthiest members are putting that issue to rest. (Bloomberg) — If there ever was doubt about the strategy of the Organization of Petroleum Exporting Countries, its wealthiest members are putting that issue to rest. Crude fell 48 percent last year and has declined 35 percent since OPEC affirmed its output target on Nov. 27. That decision, while squeezing revenues for OPEC members in 2015, aims at preserving their market share for years to come. U.S. crude production totaled 9.13 million barrels a day last week, up about 1 million barrels from a year ago and 49,000 from the OPEC meeting in November. Horizontal drilling and hydraulic fracturing in underground shale rock have boosted output by 66 percent over the past five years. Exports, still limited by law, reached a record 502,000 barrels a day in November, according to the Energy Information Administration. The four Middle East OPEC members are counting on combined reserve assets estimated by the International Monetary Fund at $826.4 billion to withstand the plunge in prices. Petroleum represents 63 percent of their exports. At least 10 calls and several e-mails to the oil ministries of all four countries on Jan. 7 and yesterday weren’t answered. The price decline will cost all 12 OPEC members a total of $257 billion in lost revenue this year, according to the EIA. Venezuela has a 93 percent chance of defaulting on its debt over the next five years, according to CMA, a data provider owned by McGraw Hill Financial Inc. President Nicolas Maduro said Dec. 13 that “there is no possibility of default” and on Jan. 7 that the country has “the capacity to obtain the financing” it needs. OPEC won’t reverse course even if oil prices fall as low as $20 a barrel or non-OPEC countries offer to help with production cuts, Saudi Arabian Oil Minister Ali Al-Naimi said in an interview with the Middle East Economic Survey on Dec. 21. The kingdom may even bolster output if non-OPEC nations do so, he said. The global oversupply is 2 million barrels a day, or 6.7 percent of OPEC output, Qatar estimates. The group will stand by its decision not to cut output even if prices fall and wait at least three months before considering an emergency meeting, U.A.E. Energy Minister Suhail Al-Mazrouei said Dec. 14. He said clearing the surplus may take years, Abu Dhabi-based newspaper The National reported Jan. 6. OPEC has no plans to meet before its next scheduled conference in June, Kuwaiti Oil Minister Ali al-Omair said on Dec. 16. Prices will recover in the second half as oil producers with the highest costs are compelled to scale back operations, he said. It wouldn’t be the first time U.S. drillers are caught up in an OPEC battle for market share. In 1986, Saudi Arabia opened its taps and sparked a four-month, 67 percent plunge that left oil just above $10 a barrel. The U.S. industry collapsed, triggering almost a quarter-century of production declines, and the Saudis regained their leading role in the world’s oil market. Not all share this view. UBS AG analysts said that hastening a price slump isn’t a practical strategy because oil demand and supply respond too slowly to price changes. Brent crude futures for February settlement traded 1.2 percent lower at $50.34 on the ICE Futures Europe exchange as of 1:09 p.m. London time. 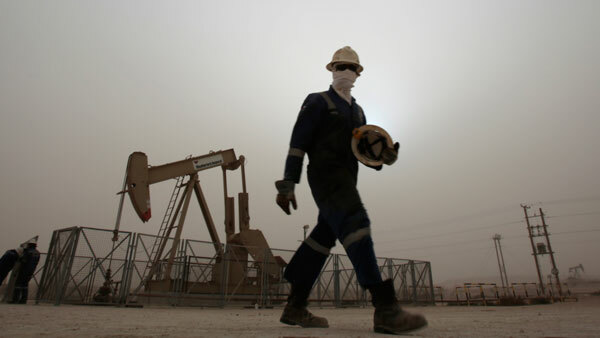 Saudi Arabian oil ministers sought to undermine prices in the 1980s and 1990s with their public comments, according to Amy Myers Jaffe, executive director of energy and sustainability at the University of California-Davis. The tactic was used to pressure other OPEC members into agreeing to quota changes, she said. There are signs that OPEC’s approach is starting to work. Rigs targeting oil in the U.S. declined for the sixth time in seven weeks, by 17 to 1,482 last week, Baker Hughes Inc. said on its website on Jan. 5. There will be a serious decline in U.S. shale oil investment in 2015, Fatih Birol, chief economist of the International Energy Agency in Paris, said on Dec. 22.